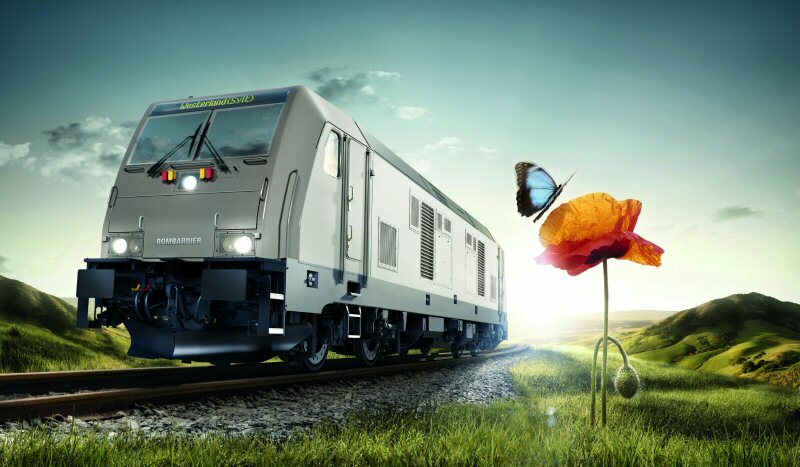 Rail technology leader Bombardier Transportation and the special purpose company Paribus-DIF-Netz-West-Lokomotiven GmbH & Co. KG (Paribus-DIF) have signed a contract for the delivery of 15 BOMBARDIER TRAXX Diesel Multi-Engine locomotives. This is the first time that a private customer has ordered the innovative TRAXX DE ME locomotives. The total contract value based on the list price is approximately 60 million euro (83 million US). The contract includes an option of up to five additional locomotives. An additional service contract for the adaption of modern control electronics in cab cars, valued at approximately 5 million euro (8 million US), was signed with Paribus-DIF-Netz-West-Waggon GmbH & Co. KG, a sister company of Paribus-DIF-Netz-West-Lokomotiven GmbH & Co. KG. Delivery of the locomotives for Paribus-DIF is scheduled for 2015. Paribus-DIF is a joint venture of the German investment management company Paribus Capital GmbH and the Dutch Infrastructure Fund (DIF), a Europe-focused institutional investor in infrastructure assets. Paribus' subsidiary Northrail GmbH will provide all asset management services to the joint venture. Paribus-DIF was chosen in a tender by the Landesverkehrsgesellschaft Schleswig-Holstein (LVS) to lease the locomotives to an operator also being selected by the LVS. The operator will deploy the new vehicles to transport passenger trains from Hamburg to Westerland/Sylt. The locomotives are designed for speeds of up to 160 km/h. The multi-engine concept enables four simultaneously working engines to be controlled individually to maximize energy efficiency. This means that the TRAXX Diesel Multi-Engine locomotive requires less diesel fuel than other locomotives with corresponding overall power. It meets the Stage IIIB emission standards, providing more environmentally friendly operation while also emitting less noise. Production of the locomotives will take place at Bombardier's Kassel plant in Germany. The carbodies will be produced at Bombardier's Wroclaw site in Poland, the bogies at its Siegen site in Germany, while the Propulsion and Controls equipment will be manufactured at its Mannheim and Hennigsdorf sites, also in Germany. BOMBARDIER, TRAXX, MITRAC and ECO4 are trademarks of Bombardier Inc. or its subsidiaries.